In Mexico's Monarch Butterfly Reserve region, the typical family uses two loads of wood each week for firewood. The wood is only used for cooking. 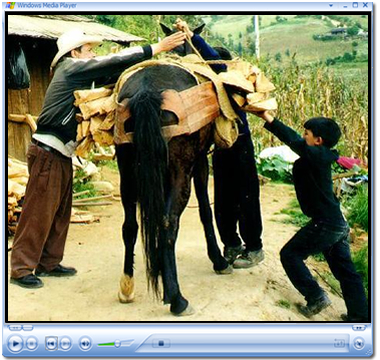 One burrow carries a half a cubic meter of wood, so one family uses one cubic meter each week. In a year, a typical family would use about 50 cubic meters of firewood. Multiplying this figure by the rural population in the monarch butterfly region of 90,000 people, the equivalent of 40,000 mature oyamel fir trees is needed for firewood. Watch how Saul loads wood on his family's burrow.